According to Ethnic Cultures Examiner, Dena Burroughs, Lupe Ontiveros, 69, died in Los Angeles, California on Thursday, July 26, 2012. Ontiveros was a film and television actress who succumbed to liver cancer. This energetic actress, Wikipedia states, acted in numerous films and television shows, most often playing a maid or a grandmother. She once estimated that she had played a maid at least 150 times on stage and screen. Part of Ontiveros’ film career included Selena (1997) starring Edward James Olmos and Jennifer Lopez. In this film she portrayed Yolanda Saldivar, the convicted murderer of Selena. In addition, Ontiveros appeared in As Good as It Gets (1997) starring Jack Nicholson, Greg Kinnear and Helen Hunt. She also portrayed a housekeeper in Dolly Dearest (1992) starring Denise Crosby. 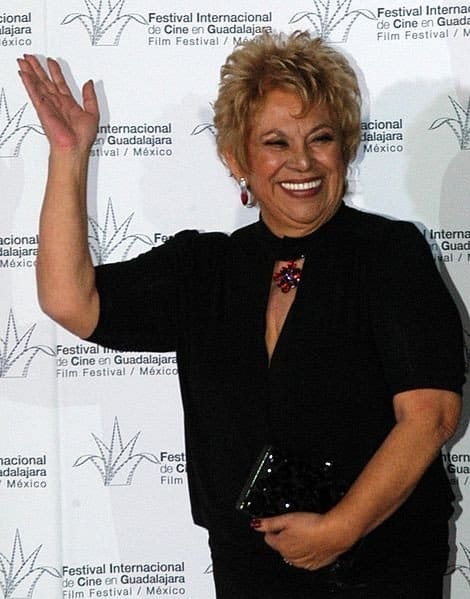 Ontiveros was nominated for an Emmy Award for her work on “Desperate Housewives” and received critical acclaim for her role in Chuck and Buck (2000). For the latter, she won the National Board of Review Award for Best Supporting Actress. In addition, she was nominated for an Independent Spirit Award. Ontiveros was also a guest star on such TV shows as “Hill Street Blues,” “Red Shoe Diaries,” “Resurrection Blvd.,” “Cory in the House,” and “King of the Hill,” among many others. Lupe Ontiveros, who resided in Pico Rivera, was survived by her husband, Elias and their three sons. Condolences go out to the Ontiveros’ family, friends and fans.